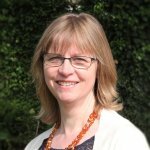 This guest blog has been written by Leanne Jones from the Cochrane Pregnancy and Childbirth Group. Key message: Continuous electronic fetal monitoring during labour reduces neonatal seizures (fits) but leads to increased rates of caesarean section and instrumental vaginal births, though data may not be widely applicable to current practice. Monitoring the baby’s heartbeat is one way of checking the well-being of the baby in labour. Listening to, or recording the baby’s heartbeat, may identify babies who are becoming short of oxygen (hypoxic) and these babies may benefit from caesarean section or instrumental vaginal birth (assisted by instruments such as forceps). The heartbeat can be checked continuously by using a cardiotocography (CTG) machine. This continuous CTG method is also called electronic fetal monitoring (EFM). 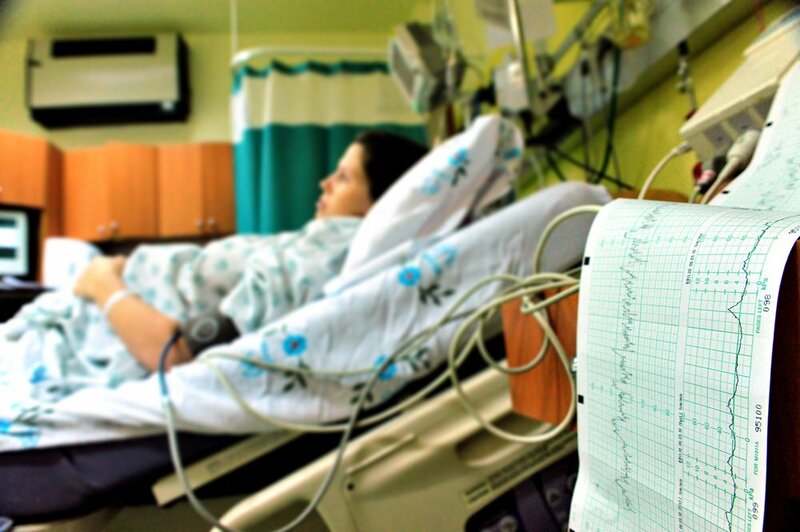 It produces a paper recording of the baby’s heart rate and mother’s labour contractions. Although a continuous CTG gives a constant written record, it prevents women from moving freely during labour. This means that women may not be able to change positions or use a bath to help with comfort and control during labour. The CTG can also display fetal heart rate patterns that might lead clinicians to doing something when in fact the baby is doing alright. It also means that some resources may be focused on the need to constantly interpret the CTG and not on the needs of a woman in labour. A baby’s heartbeat can also be monitored intermittently by using a fetal Pinard stethoscope (special trumpet shaped device), or by a hand-held Doppler device. A total of thirteen RCTs involving over 37,000 women and babies were included in this review. The majority of the studies, twelve in all with 33,681 women participating, compared continuous CTG with intermittent auscultation (listening). Most studies were quite old and not of high quality. The review is dominated by one large, well-conducted trial conducted in Ireland 30 years ago. It included almost 13,000 women who received one-to-one care throughout labour. In this trial, the membranes were ruptured artificially (amniotomy) as early as possible and oxytocin stimulation of contractions was used in about a quarter of the women. This type of care and setting may differ significantly from practices in some modern birth settings, for example, in many stand alone midwifery units, artificial rupture of membranes is avoided, and many maternity units struggle to provide one-to-one care throughout labour. CTG equipment, interpretation and training have also improved considerably over the years. The data from this review may therefore not be widely applicable to current practice. Translating the evidence from this review into clinical practice poses significant challenges. Much of the evidence is from old trials. Monitoring packages and settings described in the included trials may differ significantly from current practice. Leanne Jones is a Research Associate and Associate Editor (Updated Reviews) for the Cochrane Pregnancy and Childbirth Group at The University of Liverpool. Leanne has provided a scholarly and succinct summary of the evidence here. She correctly notes that the majority of studies in this review are dated. The impact of this dating is seen in outcomes such as caesarean section, where the proportion of women undergoing this procedure in the CTG group is 5.4% and in the intermittent auscultation group, 3.4%. While these proportions are indeed statistically different, their relevance to contemporary maternity care is problematic. The WHO recommends that the highest C/S rate should be is 15%, which certainly exceeds the estimates in either monitoring group here. Many countries report C/S rates of 30-50%. Would I be correct to assume that the same trend would emerge if such trials were conducted in the current milieu of technology, litigation and promoting normal birth? I don’t know. This leaves me in an place of uncertainty of how to translate this research into practice.